Modern Mailbox is the kind of company which is very easy to like. Its humble origins are enough to convince you of this. 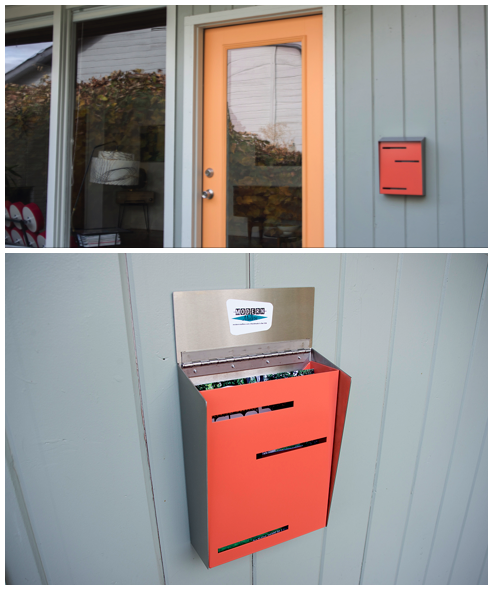 In 2015, founder Rob Baker began designing his own mid-century mailbox after he was unable to find one that suited the aesthetic that prevailed in the rest of his original mid-century modern house. After a real labour of love, Rob finally arrived at a model he liked. But, not wishing to keep it to himself, he began selling the mailbox on Etsy. After a positive response, the business grew organically into the Modern Mailbox site. Before Rob came along, there wasn’t a mailbox around that really lived up to the high standards of mid-century style homes. 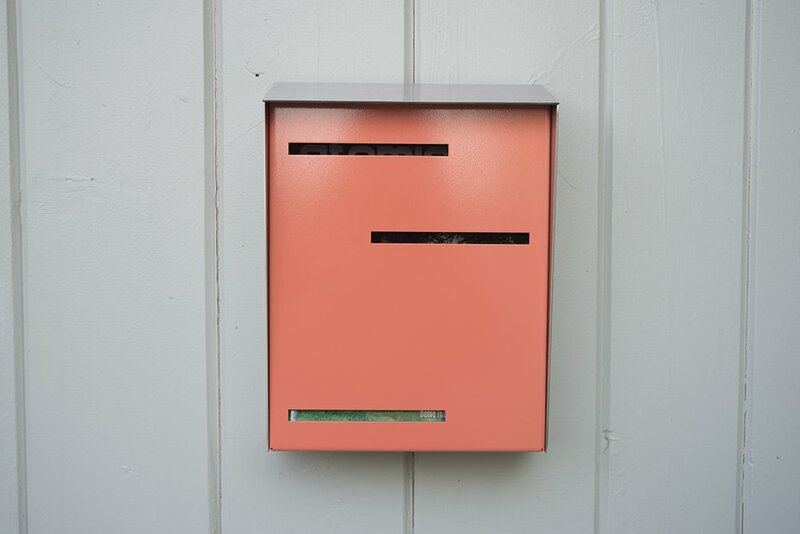 So, knowing that he has essentially been free to set the bar for what a mid-century mailbox could be, his main focus has been on smooth, sleek design, made with high quality materials and craftsmanship in mind. The website’s shop has since expanded to offer a growing number of the company’s designed and handmade products, including a mid-century modern inspired light switch and outlet covers, a cuckoo clock and a birdhouse. In our earlier interview with Rob he said he was looking forward to future projects. True to that aim, Rob has recently finished developing a new larger modern mailbox. According to the site, this development was a response to the needs of a wider public. Like all of the company’s products, this new mailbox is handmade in the USA. And just going to show the special effort that has been made to ensure the product would have really made sense in an original mid-century home, it has also been based on dimensions from vertical wall-mounted mailboxes from the 1950s and 1960s. 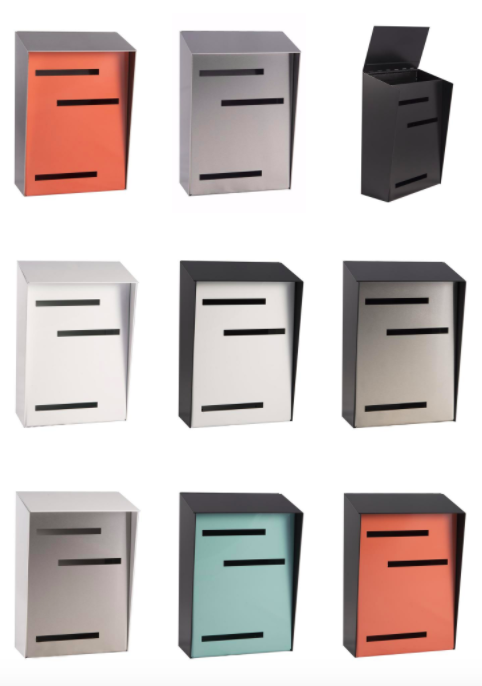 Composed of durable 16 gauge stainless steel and finished with a weather resistant powder coating, the mailbox also boasts three unique colour combinations: monochromatic “for the ultra-modern aesthetic”, two-tone “for the true-to-era purist at heart” and tri-tone “for the happy days in us all”. Meanwhile, customers can select from neutral colours (black, white and stainless), or something more vibrant, with the option of robin egg, coral and Caribbean. In keeping with the personal touch which the company prides itself on, there is also scope for further variation on request, with the site suggesting customers get in touch if they “have a special project in mind and are interested in a custom, one-off colour option”. With this kind of flexibility, it’s bound to fit well into any home. Operating first and foremost as a mid-century modern design collector, Rob’s intention with the mailbox was always to satisfy his own needs. Indeed, the mailbox should really be considered a collector’s item in its own right, perfect for any home (especially mid-century modern-inspired ones) whether it be a Palm Springs gem, a bungalow in beautiful Boise or an Atomic Ranch in middle-America. This is well illustrated in the experience of Amanda, a mid-century collector and modern mailbox owner who we spoke to earlier this year. When decorating her mid-century home, Amanda took the opportunity to personalize her lighting, doorknob, doorbell, and mailbox, “all of these details came together allowing me to showcase my style while being true to the aesthetic of the home”. 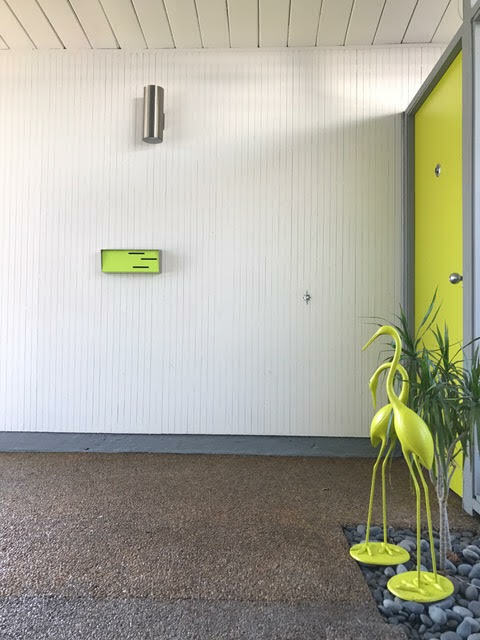 The mailbox was even customised to match the chartreuse of her front door. It’s with touches like this that you know you’re on to a winner with Modern Mailbox. Visit Modern Mailbox for the full collection.